We sometimes forget that New York’s history didn’t start with nineteenth century immigrants sailing under the Statue of Liberty’s outstretched arm and building the bustling commercial metropolis that exists today. In fact, the city was the first capital of the United States government established under the Constitution, the place where President George Washington took his first oath of office and set the constitutional machinery in motion. It was the hometown of three great Founding Fathers, William Livingston, John Jay, and Alexander Hamilton, whose house you can visit today on West 141st Street, between Convent Avenue and St. Nicholas Avenue. The house still stands on Hamilton’s original 35-acre site, but it has been moved twice, once in the late nineteenth century, to make way for row houses, and then in 2008, when the National Park Service moved it from the site where it had stood for over a century, shorn of its porches and wedged in sideways between a church and an apartment building. Now the Park Service has placed the house on a hilltop setting similar to its original one and restored it beautifully, replacing the porches and painting it Hamilton’s original colors. This video, and more like it, can be found at the National Park Service’s Hamilton Grange website. 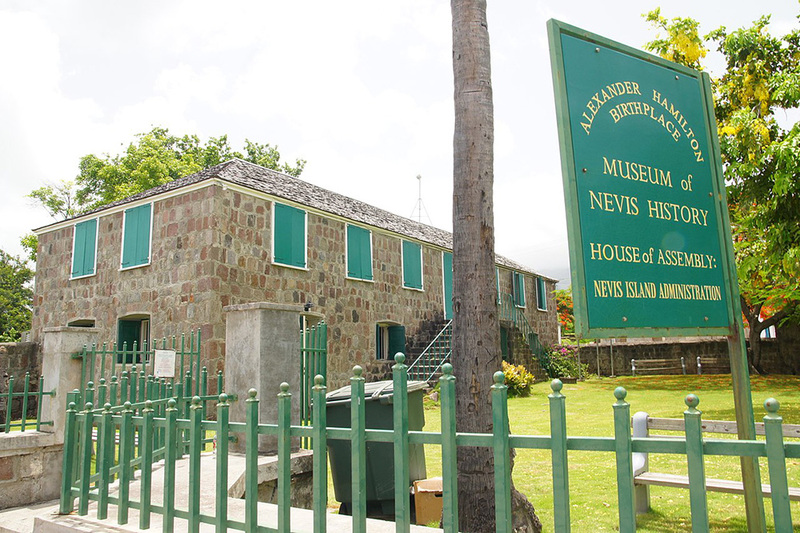 The New York house is a far cry from the Treasury secretary’s birthplace in the Caribbean island of Nevis. This entry was posted in Founders' Homes, Virtual Tours and tagged Alexander Hamilton, Founding Fathers' Homes, Hamilton Grange, Harlem Heights, Inventor of US financial system, New York. Bookmark the permalink.